In the past two months or so I have been busy researching and writing for a new book I am working on for The Mountaineers Books on bouldering. 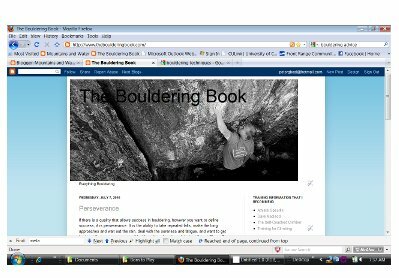 Along with this writing I have started another blog called The Bouldering Book. 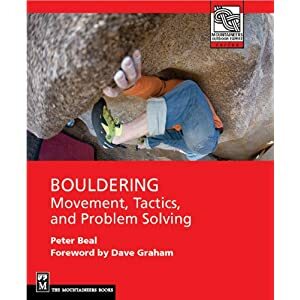 This blog will include snippets from the work in progress, thoughts on the process both of writing and mastering the art of bouldering, photos, interviews with boulderers, and so on. The blog is in its incipient phase right now but will continue to build through the fall and winter as I develop the book. It's a big project but one that I am excited about and will keep you posted on continuously here as well. really psyched for this book. way over do. keep us updated.